A set of screws are included with the purchase of a street name sign cross piece bracket. This product is the Adjustable Bracket. 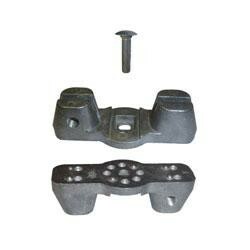 See Related Products below to see the Heavy Duty Fixed bracket type.